Formerly known as "Suite 400 Business Centre", My Vancouver Office, Inc. is a business resource centre that caters to business owners that require regular or pay-per-use office services. We provide cost-effective executive services from our downtown Vancouver location ranging from mail handling to personalized reception and secretarial duties. My Vancouver Office can be your virtual office, allowing you to run your business from anywhere around the world while maintaining a downtown Vancouver business address. Save on office rental and receptionist overhead by choosing from among our reasonably priced services. Does your team work from home? 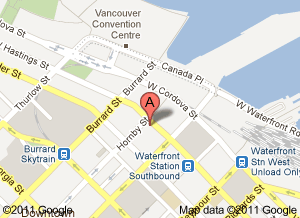 Rent our boardroom to allow your team to meet face-to-face in downtown Vancouver. Contact us, and we'll work with you to create a package tailored to your specific needs. 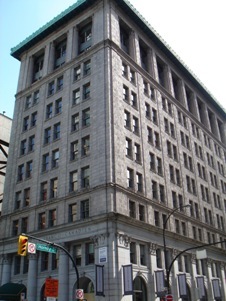 My Vancouver Office is located in the heart of downtown Vancouver in the beautiful heritage Credit Foncier Building. Within walking distance to downtown Vancouver's waterfront and the Convention Centre, My Vancouver Office is in the epicentre of Vancouver's business district. We are well established, with some of our clients having been with us for over 15 years. We pride ourselves on delivering a sincere and professional customer experience so we can build long-lasting relationships.